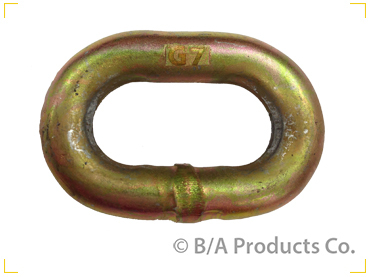 Grade 70 Yellow Zinc Plated Chain - Industrial - BA Products Co.
Grade 70 Yellow Zinc Plated Chain – Bulk Chain. Grade 70 Transport chain is produced from heat treated carbon steel. It is the standard for towing, logging, and tie-down applications. Yellow Zinc Plated for easy identification. Meets DOT specifications. Not Approved for Overhead Lifting.